I’m Shawn, an instructor, reviewer, competitor, your host and star of the next installment of the expendables. Wait, this says expandables… is that a fat joke? So tonight I wanted to get to know you guys a little better. What got you interested in shooting? Who mentored you and really taught you a lot? Aaron: Say Hello to my little friend. Manticore Arms will be releasing SIX new Tavor products and TWO new AUG products at Bullpup Shoot. We will be raffling off a UTAS UTS-15 bullpup Shotgun, $5 a ticket, and all proceeds will be donated to charity. All money raised by the raffle will be donated to Fisher House, a non-profit charity that provides military families with housing close to a loved one during hospitalization for an illness, disease or injury. Quick thanks to UTAS for donating this shotgun to the event! There’s also all kinds of other raffles during the day, so plenty of chances to win all sorts of things! Just really quick, our show is crowdfunded. To say thanks we do cool stuff like send patches, stickers, etc. based on levels. We are giving away a rifle and a pistol to two lucky winners when we hit $500 per episode. We don’t just love our patreons, we love everyone who’s listening. As such, we are giving away a Tokarev, courtesy of reddit user r_shackleford! All you have to do is send a we like shooting related picture to [email protected]. We’ve been posting them on Facebook and the entries are awesome! Next months shootout is a zombie related one called #doubletap. We are also introducing a new facet to the shootout challenge. In addition to this target, you can download a beginner target. We want you to take someone new to the range. If you do, take a picture of them and the target and we’ll send you a we like shooting sticker! Shawn – Shaneen Allen update – DA’s office has accepted PTI meaning Shaneen will serve no further jail time and will likely end up with probation, etc. I reached out to Shaneen today and she asked me to share on this message. 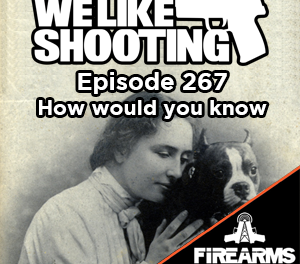 By far, my FAVORITE podcast of the entire Firearms Radio Network…Always entertaining, informative, and most of all hilarious; from the personalities, musical intros, back and forth banter; its just a lot of fun. Keep up the good work and THANK YOU for such a great podcast. Feedback hotline! 201-957-0011 or 201-WLS-0011. RXSJY – Hi there, this is john your the friend, so just give you a call and let you know that you have a quick chat in those little should be on more. Thank you, bye. TQIG – Date. Hello. Politics cos.
OQY – Hey guys, I love the show. Just wanted to call in, let you know that I actually want Shawn, The am not net. But I do have a question for you as what you thank the of the parking til stock them up in the dot. I mean 300dollar stock for 100 dollar down. The. I think it’s worth it love the show again. Don’t forget to visit our discounts page, guaranteed to get you discounts for some of our favorite companies, http://welikeshooting.com/discounts. 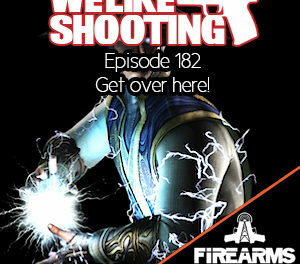 And last but not least http://welikeshooting.com/shop for WLS swag and other products that we like. 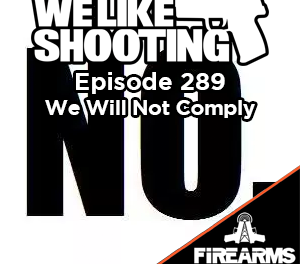 We apologize to Colion Noir and MatBest11x we just really needed some us time, we’ll try to get him on next week. Join a gun related advocacy group such as the Second Amendment Foundation, the NRA, whatever. Find one that’s relevant to your interests and join. WLS 016 – Happy Thanksgiving! WLS 182 – Get over here!